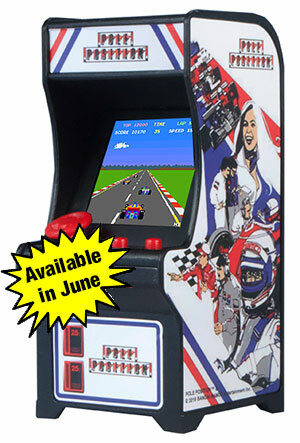 Go back in time with Tiny Arcade. 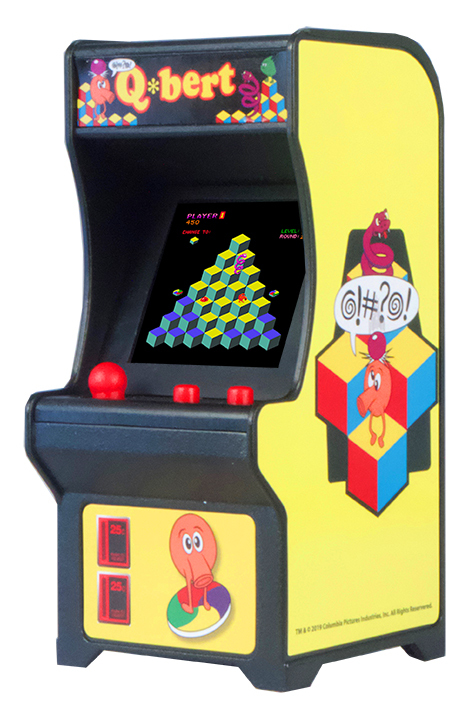 All the original gameplay you loved in the 80’s are back… at your fingertips! This fast paced puzzle game never gets old! As the Tetrimino shapes fall from the top of the Matrix, you must arrange them to make horizontal rows of blocks in order to clear lines. 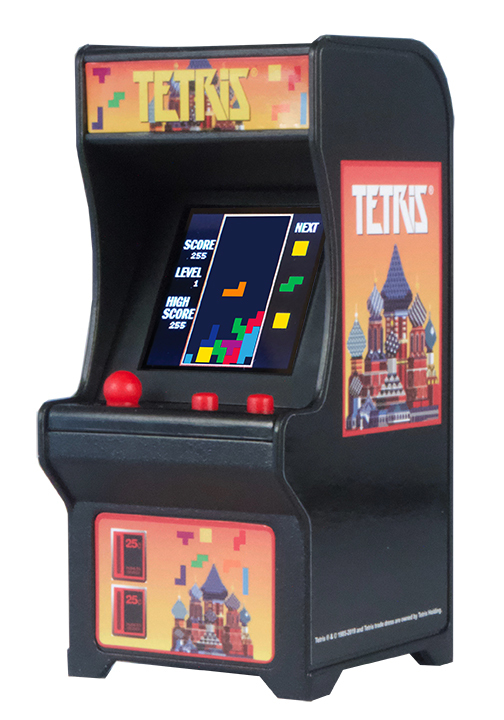 As you increase your skill, so does the pace of the falling Tetriminos. If your stack reaches the top of the Matrix, it’s game over! Get ready to run and jump as you try to change the color of the cubes by hopping onto them. When all the cubes in the pyramid have been changed to the destination color you will advance to the next round. A racing maze game where you must reach 10 flags before running out of fuel and without running into other vehicles! Ready, set, go! Do you have a need for speed? Race to the finish line with this 1982 classic. Use the steering wheel to drive your car around the speedway. 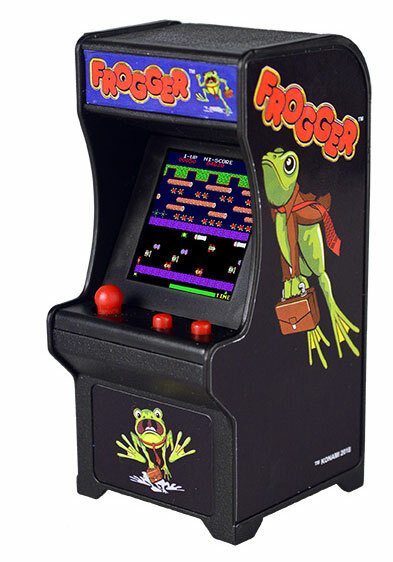 An arcade golden age classic, Tiny Arcade Frogger is addicting and a must-have game for those long commutes. Players must guide Frogger from the bottom of the screen to the home at the top by hopping along perilous roads and rivers. 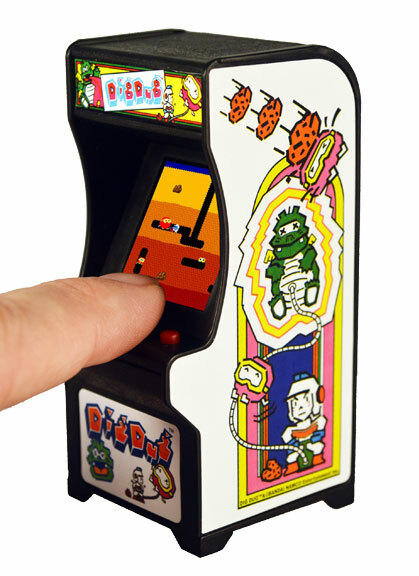 Have you got what it takes to help Dig Dug dig tunnels through the dirt and eliminate the Pookas and Fygars with Tiny Arcade Dig Dug? The further down you dig the more points you get when you kill the enemies. A game where you can make your enemies explode or throw rocks on them. It’s totally tubular. 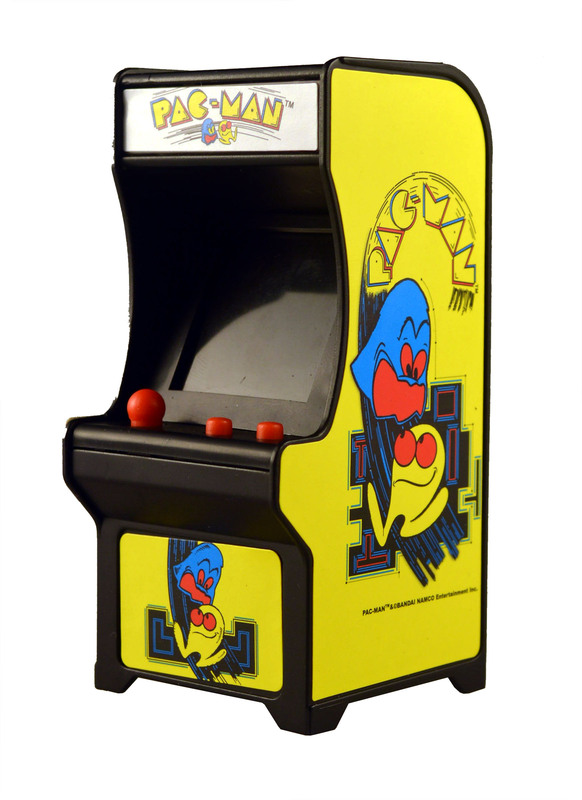 The much loved sequel to Pac-Man, Ms. Pac-Man and her iconic bow are now part of the Super Impulse Tiny Arcade collection! 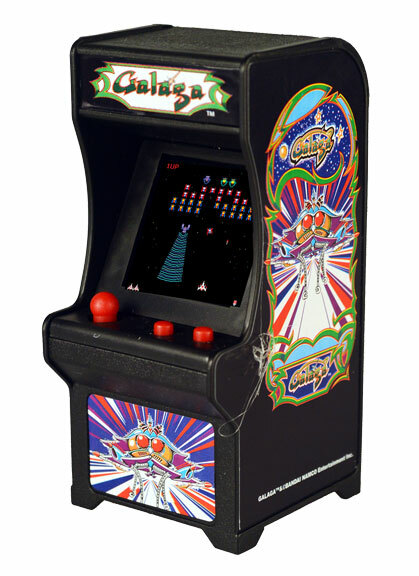 This fully functional game lets you direct Ms. Pac-Man to her source of nutrients and escape those pesky ghosts. Quick! You are being attacked by a swarm of alien armies! 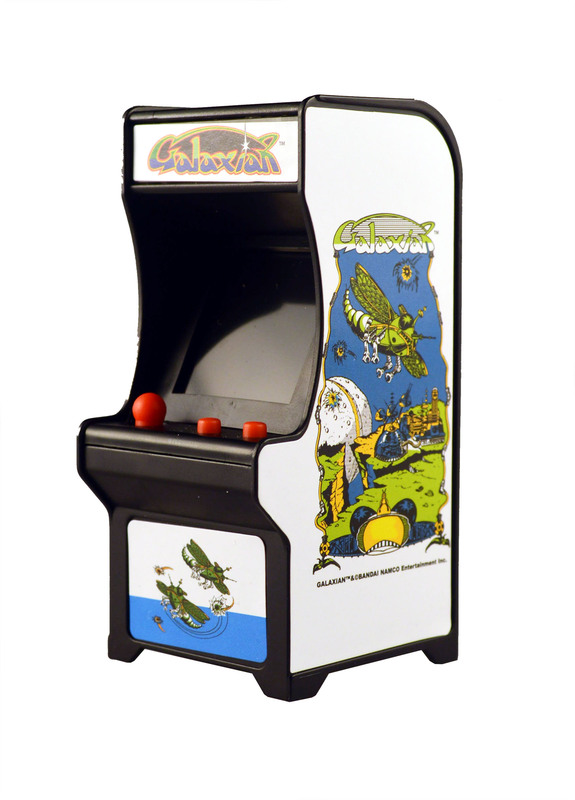 Play Tiny Arcade Galaxian to fend them off and save the galaxy. The universe is depending on you and size doesn’t matter! Waka Waka Waka! 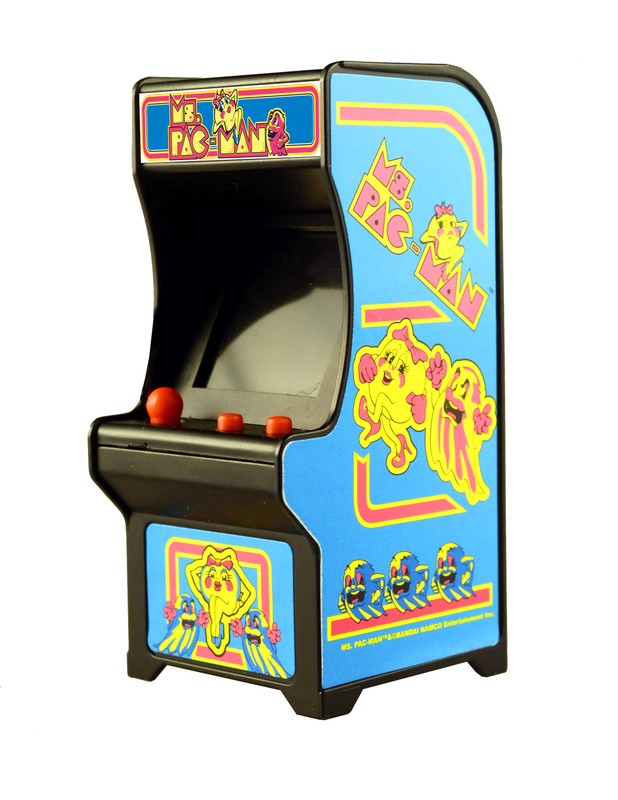 Grab the most iconic and popular arcade game, Pac-Man in its tiniest size ever! Be sure to control Pac-Man through the maze, eating all the pac-dots along the way. Be careful, Blinky, Inky, Pinky and Clyde are always just around the corner. 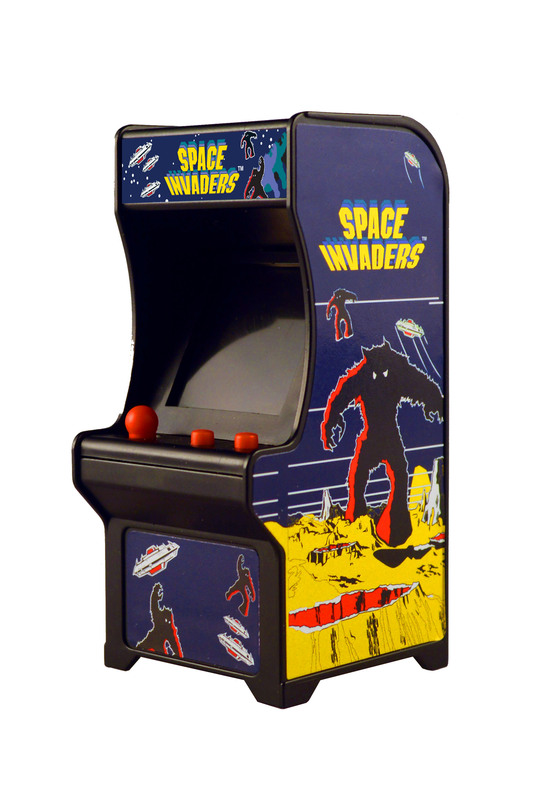 Space Invaders are here and they’re smaller than ever! Use the tiny buttons to fire at swarms of extraterrestrials to prevent the alien invasion and defend the planet!